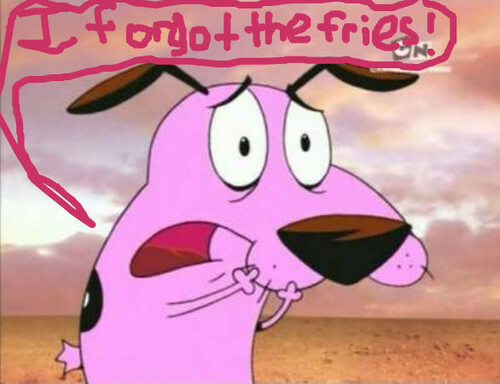 Courage forgot the fries!. says it all in the Название. Wallpaper and background images in the Courage the Cowardly Dog club.